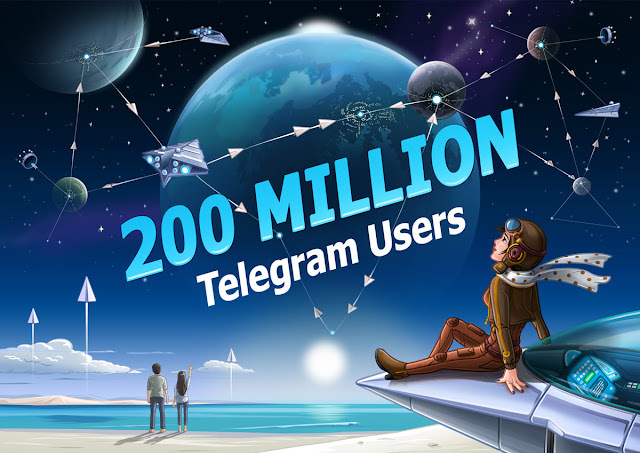 Telegram Crosses 200 Million Monthly Active Users - AndroGuider | One Stop For The Techy You! Telegram has shared in a blog post that over 200 million people used its platform in the last thirty days. To put that into context, the seventh most populated country in the world - Nigeria - is home for 195.3 million people. In terms of number of users, Telegram loses out to Facebook's Messenger and WhatsApp by a huge margin. Both Messenger and WhatsApp have over 1.5 billion monthly active users. According to Telegram though, its victory lies in its commitment to privacy and freedom of expression. Telegram was recently involved in a court battle in Russia. Russia fears that terrorists are using Telegram as a medium to plan attacks on its soil. In 2016, President Vladimir Putin, who was reelected recently, signed laws for countering terrorism which included a requirement for messaging services to provide the government authorities with means to decode user communications. In 2013, Telegram rolled out end-to-end encryption to secure the correspondences of its users from surveillance. The Russian security services are asking Telegram to hand over the the encryption keys, but Telegram is standing firm on its commitment to privacy, and has refused to abide. Last year, Telegram filed an appeal in Russia's Supreme Court protesting the demands of security services FSB. Telegram's plea was discarded by the Supreme Court last week and the Supreme Court has asked Telegram to give away the encryption information. If Telegram fails to comply with the order of the Supreme Court, it risks being banned in Russia. Telegram has nearly 9.5 million users from Russia. While Telegram is risking being banned in Russia, it was blocked in Iran for two weeks in early January. Iran banned Telegram after the messaging service refused to take down channels of protesters. Telegram's founder and CEO Pavel Durov claimed that the channels were of "peaceful Iranian protesters," and the Iranian government termed them as being "terrorist channels" for spreading unrest in the country.